Solar Maximum - What's going on in Mr. Solarz' Class? 2013 is the Year of the Solar Maximum - What Does That Mean? 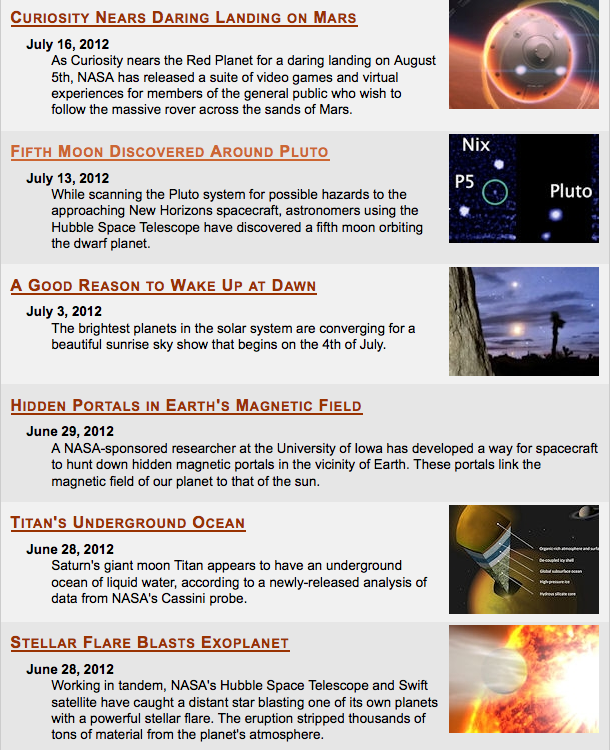 On the weekend of July 14, 2012, sky watchers around the world got a taste of things to come. It was mid-Saturday in North America when a coronal mass ejection or "CME" crashed into Earth's magnetic field and triggered the most sustained display of auroras in years. For more than 36 hours, magnetic storms circled Earth's poles. Northern Lights spilled across the Canadian border into the United States as far south as California, Colorado, Kansas, and Arkansas. In the southern hemisphere, skies turned red over Tasmania and New Zealand, while the aurora australis pirouetted around the South Pole.